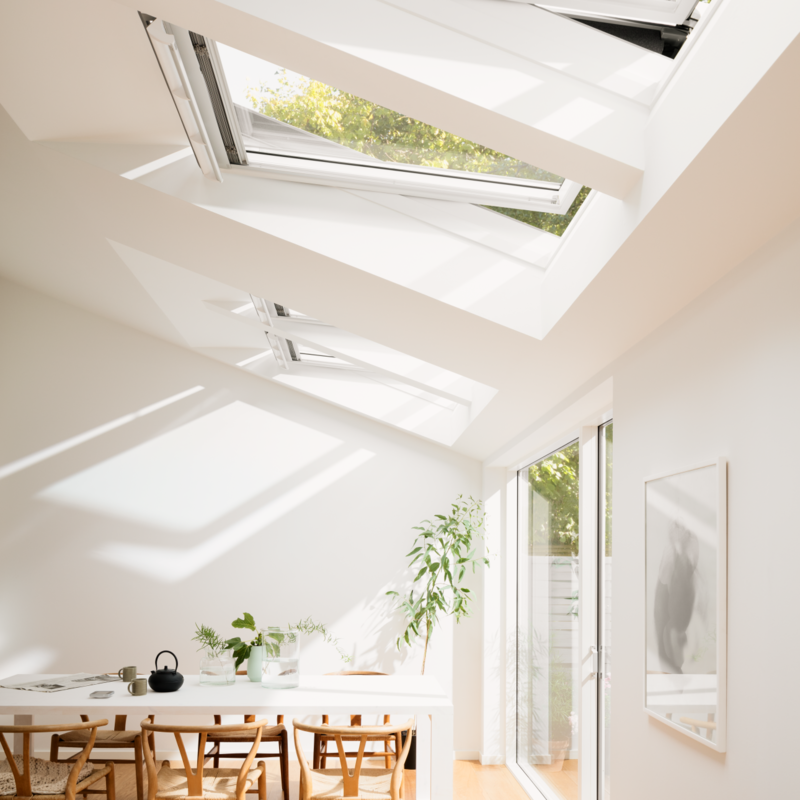 Easy to use and install, VELUX INTEGRA® roof windows are ideal for those out of reach spots and are perfect for flat roof extensions. 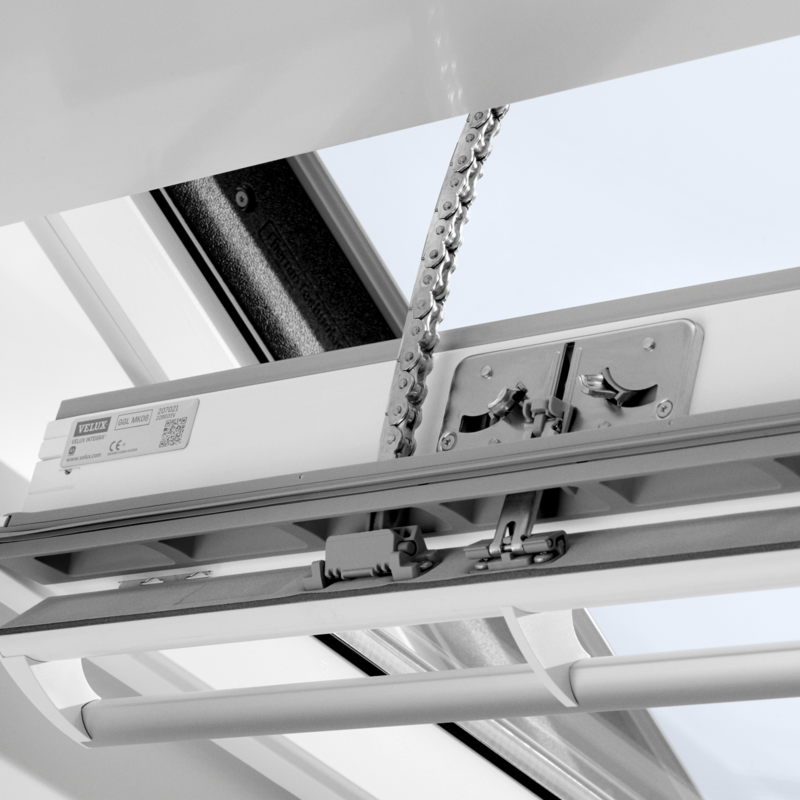 This innovative system of remote controlled roof windows from VELUX allows you to open and close your roof window in a touch of a button. Automation is controlled via a control pad allowing you to use various programmes which you can programme and set to suit your lifestyle – from anywhere in your house. This range is the ultimate choice for fresh air and better indoor comfort, available in both electrical and solar powered options. 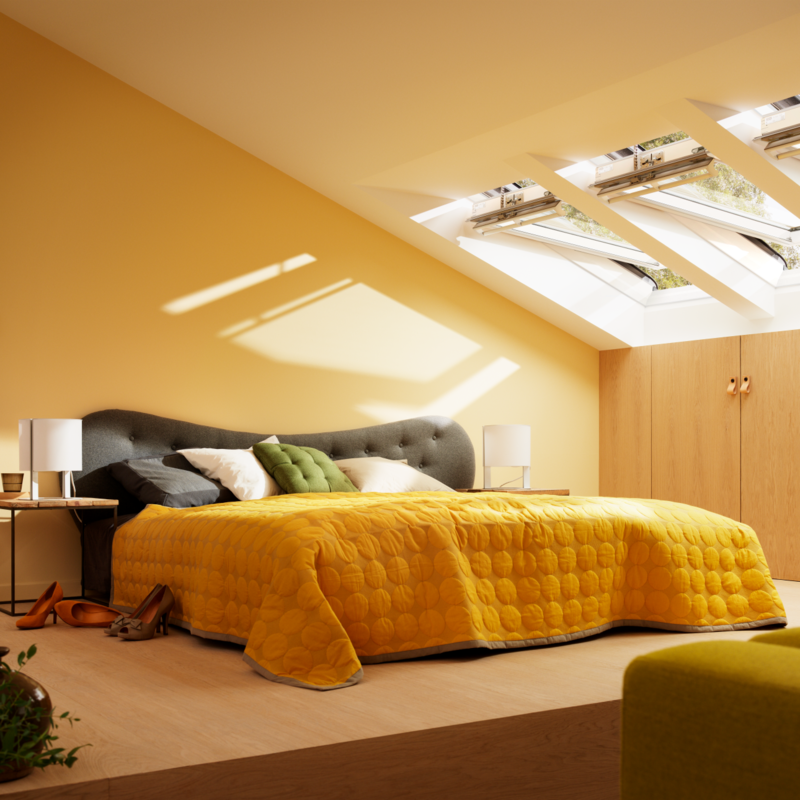 The electric roof window is mains-powered direct into your properties electrical system, the solar powered option requires direct exposure to sunlight without the need for wiring it makes installation even quicker. Both options come with a rain sensor so when the weather turns it will automatically close. There are 8 pre-defined programmes for you to use, all designed to make life more comfortable and stress free. Easy to operate, the INTEGRA® range comes with an elegant control pad and are all based on a secure technology called io-homecontrol®. With the intelligent VELUX INTEGRA® control pad you can close your windows at a single touch. A great option for tech lovers, the ‘leaving home’ function ensures all windows are closed at once, no matter where they are in your home. Meaning you can get on with your day without the worry of home security. The entire INTEGRA® range comes with the handy rain sensor feature, the minute it starts to rain, your windows will automatically close – meaning no worries about rain damage.